Gamo Bone Collector Slingshot With Laser And Light | BUDK.com - Knives & Swords At The Lowest Prices! You'll have one heck of a time with Gamo's popular Bone Collector Slingshot. This premium slingshot is crafted of top-quality materials, featuring a solid steel frame with a gun-style grip handle and a genuine leather pouch. 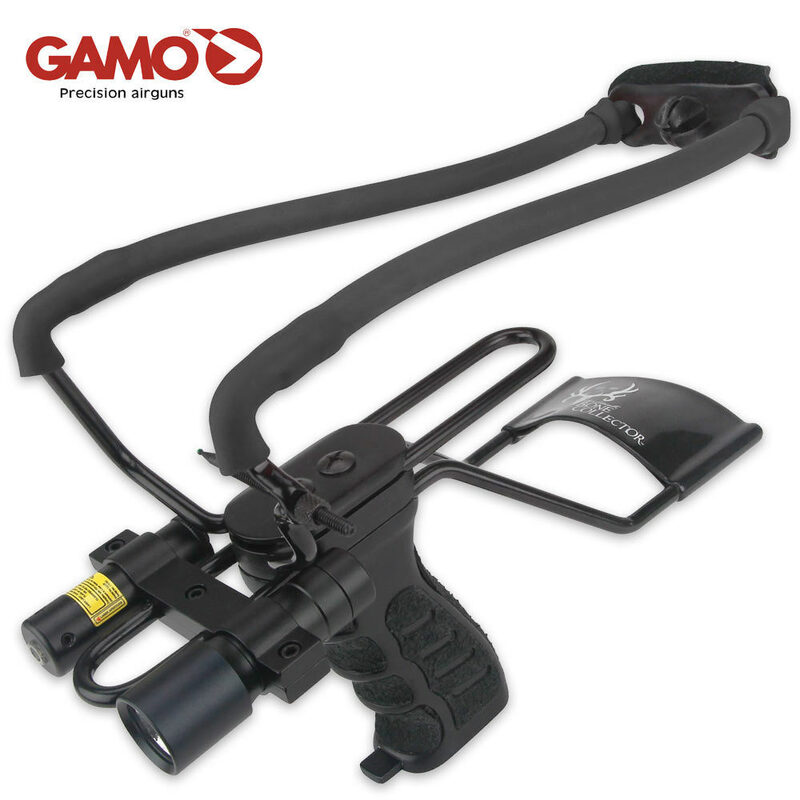 This top-quality tactical slingshot also offers a laser and light, making it an unbeatable value. Upgrade your amateur slingshot to this Bone Collector from Gamo today! Just ordered it can't wait to use it for my hunting trip in Kansas!